It goes without saying that when it comes to pregnancy, everyone hopes for a healthy baby and a healthy delivery. However, being aware of potential roadblocks is essential for everyone involved, especially the new baby. Of all common concerns, birth defects are a complex concept. Neural tube defects are among the most common form of birth defects. Fortunately, in most cases they are completely preventable with adequate intake of jamieson folic acid. Essentially, these defects are due to the failure of proper fusion of the vertebral column around the spinal cord. The consequences vary from insignificant to severe, causing complete lack of the brain in the skull upon birth. The best preventative medicine is early pregnancy detection and appropriate supplementation. But there are many other developmental conditions that cause birth defects. Some are genetic such as Down Syndrome (trisomy 21), Patau syndrome (trisomy 13), Edwards syndrome (trisomy 18), Cri du chat syndrome (missing part of chromosome 5), Turner syndrome (missing the X chromosome in a female) and so on. The term “trisomy” refers to the presence of 3 chromosomes of the same type instead of 2. The symptoms of these conditions are inevitable since they are genetic, although the severity of symptoms varies among individuals. Many factors, both controllable and uncontrollable, play a role in pregnancy health. One of the most commonly discussed health factors is in regards to the age of the mother.. The optimal age for child bearing is between the ages of 18 and 30. Women past the age of 30 have an increasingly higher chance of the fetus acquiring these mutations. That certainly doesn’t mean you can’t decide to start a family past the age of 30. However, paying attention to genetic testing becomes of higher importance. Testing can be conducted by chorionic villus sampling (taking a cell sample from the placenta) and then a little later on by amniocentesis (sampling the fluid that the baby swims in). Other important tests for these conditions are routine abdominal ultrasounds. 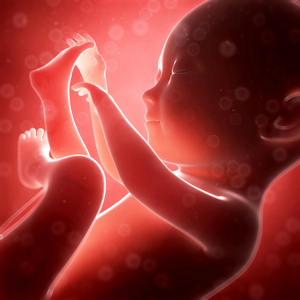 The third types of birth defects are caused from exposure to toxins during pregnancy. The most common are tobacco smoke (which leads to growth retardation), alcohol (which can lead to growth retardation and fetal alcohol syndrome), most prescription medications (this is complex and should be discussed prior to conceiving with ones doctor), cocaine and other stimulants such as crystal meth, heroin and other opioids, and environmental toxins and pollutants. The last category includes obvious toxic substances such as paints, varnishes, gas fumes, other chemical fumes, heavy metals and so on but it also includes less well thought of substances such as food preservatives, food pesticides and food herbicides. Even fluoride in tap water is toxic to the fetus. So the take home message is this: Once pregnancy is detected, begin taking folic acid, and of course quit smoking, drinking alcohol, or engaging in illicit drugs. If you take prescription medications consult with your doctor. Request a referral to a gynecologist/obstetrician and schedule all appointments for the entire pregnancy. If your partner smokes, encourage him to quit or be sure he never smokes near you. Eat healthy: meaning lots of wild fish, Jamieson fish oils, fruits and vegetables. Try and cut out all processed foods or junk food. Try switching to an organic diet, if possible. Be sure to drink adequate fluids. The less stress throughout a pregnancy, the better, so maintaining a stable and calm environment is extremely important. And remember, if you’re over the age of 30 you are able to obtain genetic testing in addition to what is offered by our free (yet limited) health care system. Good luck on a healthy and happy pregnancy. Categories: Reproductive Health | Tags: health, pregnancy, prenatal, reproductive health, women, womens health | Permalink. Today many couples have problems conceiving. If the problem is simply mechanical, there is the option of in vitro fertilization. 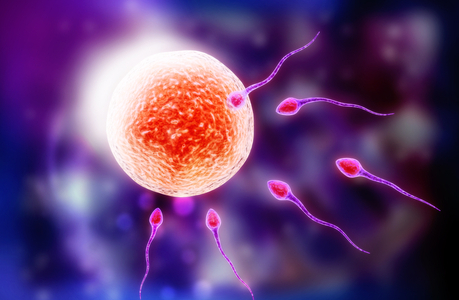 This process entails extracting an egg from a woman’s ovary and sperm from a man. 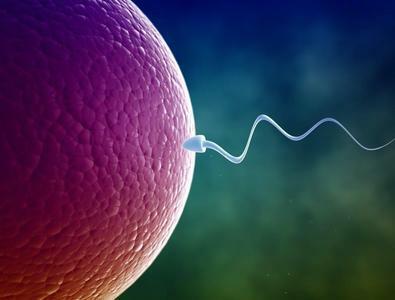 Then the sperm is then injected into the egg in a laboratory setting. This stimulates the fertilized egg to undergo cellular divisions and this is how life begins. When the egg becomes a ball of cells, it is injected into the uterus of the woman for it to undergo implantation into the uterine wall. Once implanted, it continues its development to become a fetus. This all sounds great and in fact, it is. But it does not work when there is a problem with either the egg or the sperm. Such problems can be genetic or environmental. When genetic, there is really not much that can be done at the present with the state of our technology. The only options in such cases are to take a healthy sperm or egg from a donor or to adopt a child. If the problem is environmental, it can have many causes that can be eliminated for increased fertility. Categories: Lifestyle, Reproductive Health, Women's Health | Tags: mens health, pregnancy, prenatal, relationships, sexual wellness, supplements, women`s health | Permalink. Today’s blog is a continuation of my women’s health and baby topics. Recently I talked about Lecithin and how important it is in the neurological development of the fetus during pregnancy. Today I want to expand on the topic by making a connection between a decrease in the likelihood of Neural Tube Defects and supplementation with Folate and Vitamin B12 during pregnancy. Categories: Children, Omega 3, Women's Health | Tags: breastfeeding, cocunut oik, EFAs, fish oil, flax oil, pregnancy, prenatal | Permalink.